Robbert van de Corput, better known by his DJ stage name Hardwell, launched his first studio album, United We Are, on 23 January 2015. 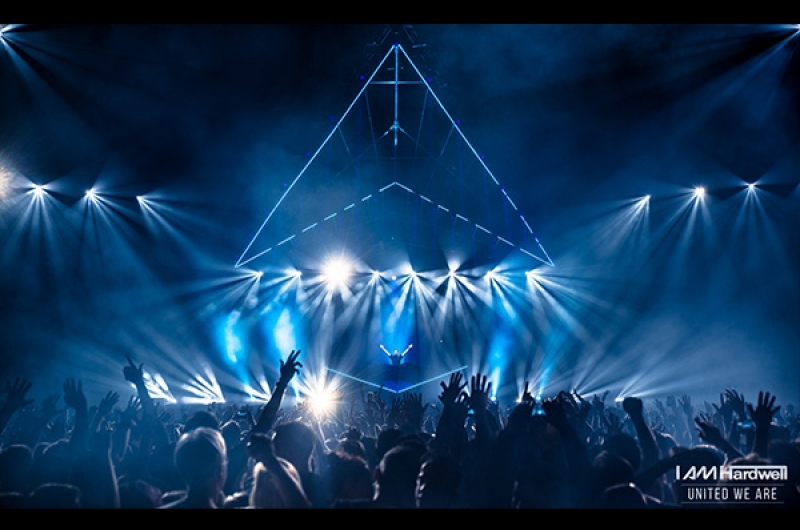 That same night, Hardwell heralded its release with a big gig at the Ziggo Dome with an LED video assist by InventDesign. ‘I go on tour and take with me... two large LED installations from InventDesign.’ This is what DJ Hardwell thought during preparations for his latest world tour. The event kicked-off on 23 January 2015 at the Ziggo Dome in Amsterdam and was already sold out far in advance. 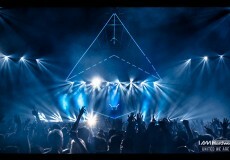 InventDesign has developed an installation in collaboration with ALDA Events, MotionFX, 250K and The Art of Light. The setting, which was designed to buildup and breakdown in record time, amazed the audience and the production team is made. All parts of the installation are Plug and Play, linkable with Neutrik connectors. Unlike other companies, InventDesign is renowned for building complex LED systems that every stagehand can deal with. That was one of the main requirements for this installation, as the knowledge and experience of the stagehands in some countries could be limited. InventDesign has built a system based on their recently released digital LED Strip. Each strip is composed of a number of 8.5 cm segments, each containing 6 high brightness RGB SMD LEDs. This product is unique in that each individual segment can be independently controlled. More than half a kilometer of these LED Strips were used for the world tour. The setup contains approximately 3000 pixels, which are controlled by InventDesign’s fully in-house developed C-4 controller. The Art-Net controller is extremely powerful and the most advanced version can operate 12 DMX universes. The controller is ideal for this sort of installation, not only because of the high capacity, but also because of its small size and weight. The controller weighs only 130 grams and if you need to ship an installation by plane, every kilogram counts. The power supplies and controllers are incorporated in compact installation boxes.The controllers have a built-in Ethernet switch, meaning the boxes can be easily looped with Ethernet. The low weight and the small volume of the installation boxes is achievable because the controller is directly connected to the LEDs. The C-4 controller allows a direct translation of Art-Net to the LED. This eliminates the need for Art-Net nodes and DMX decoders to operate the LEDs and saves an enormous amount of the equipment you still see in traditional setups. The light shows are designed and operated by André Beekmans of The Art of Light. During the preparations he proposed patching the LEDs with his GrandMA lighting control consoles. InventDesign had a better idea and suggested using the LED lighting controller, MADRIX. InventDesign invited André and his team for a MADRIX workshop. The company has proven that MADRIX is an excellent solution in addition to a Grand MA. They have used the system during Sensation Welcome to the Pleasure Dome in 2014. However, patching in a GrandMA to such an installation is tedious and creating effects is not easy. Stefan Verhoef, Creative Director and owner of InventDesign, personally helped the team from The Art of Light by creating patches and generating a variety of effects. He convinced the team to take up the challenge and use MADRIX for the I AM Hardwell United We Are World Tour. Besides the time that MADRIX saves, the production team also makes big savings on hiring the so called NPU’s (Network Processing Units). These cabinets are expensive and can only operate 8 DMX universes. For just a fraction of the rental costs, a complete MADRIX system could be purchased and used for the whole tour. InventDesign offers high quality server racks, which in terms of processing power, are tailored to the installation. The PC is linked to the GrandMA and virtually all parameters can be controlled via the lighting console. Theoretically, the computer doesn't have to be touched during the show. However, the 24 inch touch screen offers a nice preview of the effects. 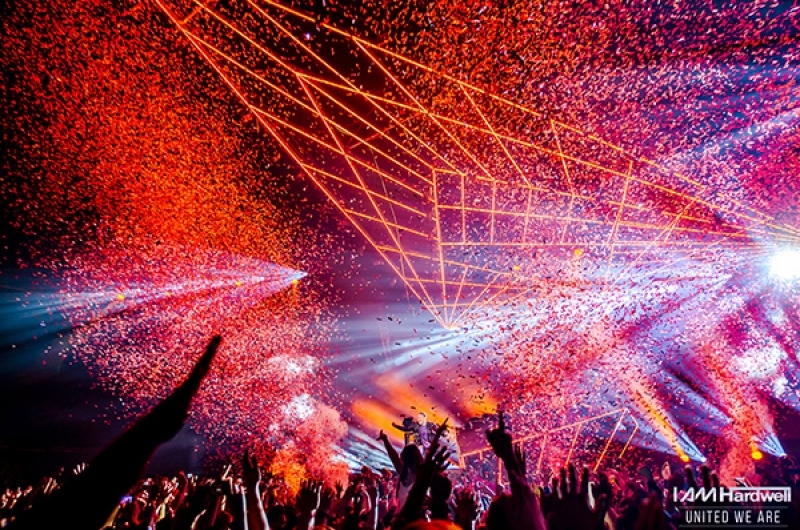 ‘We are incredibly proud that our LED installation is traveling with the world’s #1 DJ. The great response of the audience speaks for itself.’ If you would like to learn more about InventDesign and their projects, please go to the website www.inventdesign.nl. If you are interested in MADRIX, you can sign up for one of the MADRIX workshops hosted by InventDesign in Amsterdam.